Coach is a New York-based luxury fashion company. The company is known for its men's and women's handbags, small leather goods, footwear, clothing and travel accessories. With Big Apple Buddy’s personal shopping service, you can now buy the latest Coach products direct from the USA anytime, anywhere. An everyday staple piece, the Coach Charlie Carryall is spacious in design and lightweight in feel. 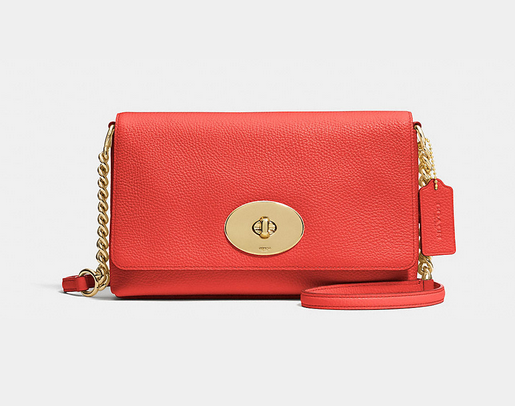 This pebble leather purse features a versatile silhouette perfect for both day and night. Or stun in the Lola Ballet Flat in genuine snakeskin that enhances any work-to-weekend style. Wear it with jeans or a dress, these flats rock every look! Polish off the outfit, with Coach’s Sculpted Signature Reversible Belt. Featuring iconic Coach hardware, this utilitarian belt is crafted with glove tanned leather, capable being worn in four different ways! For those looking for a timeless silhouette to match their fashionable outfit, the Coach Jumbo Central Satchel is a must. 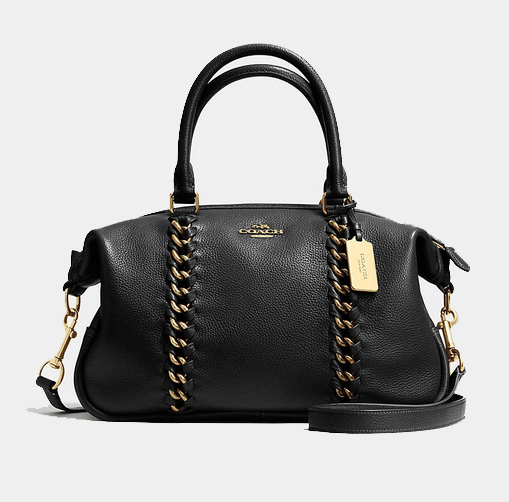 Pairing edgy hand-laced chains with soft leather, this latest design from Coach comes with a long detachable strap which adjusts for both shoulder and cross-body wear. The Coach Swagger is cool where you wouldn’t expect it. The double-turnlock brings a bit more attitude to the classic bag. For a more casual, everyday use, the Mini Nolita Satchel, inspired by archival Coach designs, is a charming addition to any woman's handbag collection. The Coach Crosstown Crossbody may be a mouthful but with a minimalist interior and chic chain strap, it is an elegant choice for your essentials. Unfortunately, the USA Coach online store does not currently offer international shipping. However, Big Apple Buddy, your personal shopper, can help you buy products direct from the official USA Coach online store and ship them to your doorstep, no matter where you are in the world. If you would like to buy from the USA Coach online store, simply let us know which items you would like to order (by filling out the form below) and we’ll get back to you with a free international shipping quote within 24 hours!